Community Blog - A Saving Grace for our Pollinators? A Saving Grace for our Pollinators? 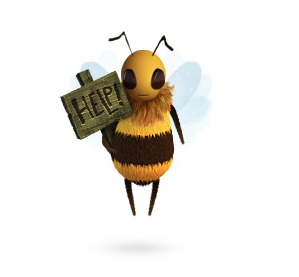 The dramatic decline of our bee population over the last decade has been making headlines particularly in the last few years which has seen a 10-15% drop in numbers. Our garden friends play an incredibly important roll in pollinating, not only our flowers and native lands but also our food crops. Because of disease, environmental threat and the use of killer pesticides their numbers have been dropping like never before. Finally an answer comes in the form of a £10 million initiative by Defra (the Department of Environmental Food and Rural Affairs). The funds will be given to research teams across the UK who are part of the Living With Environmental Change (LWEC) partnership. This was essentially set up us respond and be better equipped with the changes in environment climate change brings. Environment Secretary Hilary Benn highlighted the importance of why it's imperative we save our bees: "Aristotle identified bees as the most hard working of insects, and with one in three mouthfuls coming from insect-pollinated crops, we need to support bees and other pollinators". But green campaigners are already questioning how serious the governement are tackling this issue. Peter Melchett, Soil Association Policy Director said recently: "while new funding and new research are welcome, it will not help if the Government ignores existing scientific evidence that has led other countries to ban chemicals known to kill bees." Existing, widely accepted scientific evidence has already prompted countries like France and Italy to ban bee-killing chemicals. It would be nice if we followed their lead. And perhaps some of that £10 million could be spent on an education programme to show us all what we can do in our own gardens to help the bees or designing bee nesters for household gardens.